"Economics is ultimately about good and evil"
In May 2009 he published a book on philosophy, ethics and history of economic thought named "Economics of Good and Evil - the quest for economic meaning from the Epic of Gilgamesh to Wall Street". This book quickly became an unexpected national bestseller and was translated into 21 languages. The book was awarded by the “Deutscher Wirtschaftsbuchpreis”, the International Book Fair in Frankfurt and also by the National Bank of Poland. The leading German business daily Handelsblatt ranked "Economics of Good and Evil" among the 100 most important books of all time. It was followed by series of conversation with prominent economists. The first one “Dusk homo economicus“ was released in 2012, together with David Orrell and Roman Chlupaty. 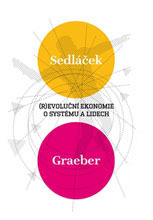 "(R)evolutionary Economy: Of systems and men" with David Graeber was published in 2013 in Czech Republic. In 2014 he also contributed in "Oxford Handbook on Professional Ethics for Economists", together with George DeMartino and Deirdre McCloskey among others, published by Oxford University Press. The next one that will be published this year as well, "Manifesto BOZAR X" took 10 years of work collection supported by the European Comission, and explains what the Centre for Fine Arts is, which institutions and cultural projects stands for today, and how it would like to develop in the future. 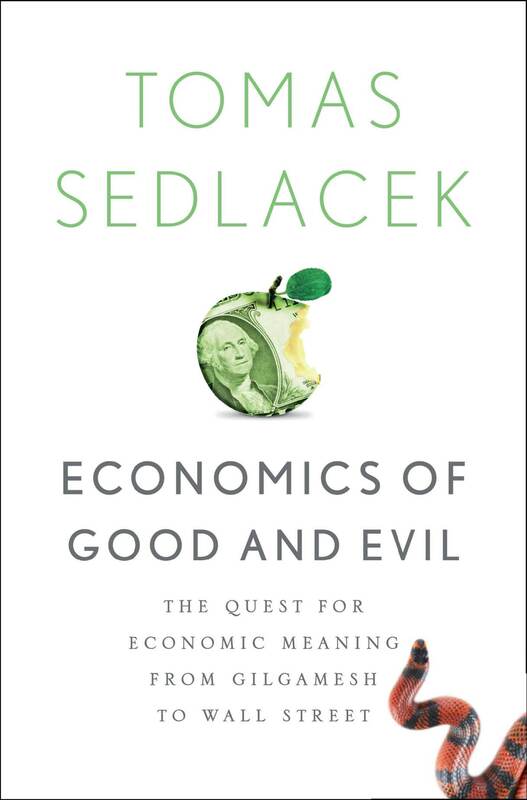 In Economics of Good and Evil, Sedlacek radically rethinks his field, challenging our assumptions about the world. Economics is touted as a science, but Sedlacek sees it as a cultural phenomenon. He breaks out of the field’s confines and explores myths, religion, philosophy, psychology, literature, and film. Canadian mathematician and philosopher David Orrell joined Sedlacek in his attempt to seek the roots of the current economic crises beneath a common level of debate. Their three-hour conversation is just being released in a form of a compact book, titled as The Dusk of Homo economicus. 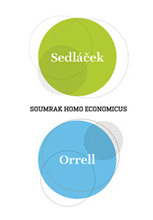 In (R)evolutionary Economy publicist Roman Chlupatý’s finds himself in a trialogue with two original thinkers – economist Tomáš Sedláček and anthropologist David Graeber. Their focus is on the dominant economic and political framework or rather its failings.